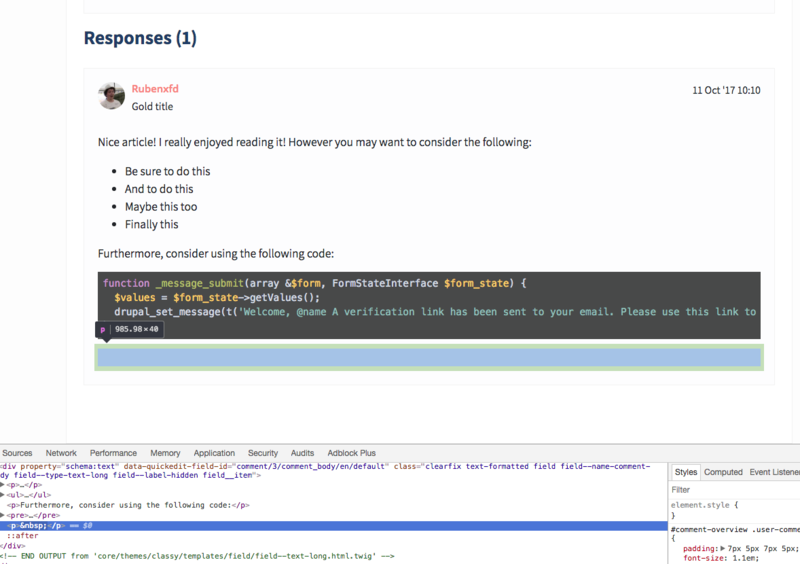 I've got a problem with CKEditor in Drupal 8. I've searched related questions like CKeditor adds extra <p> tags, but almost all questions are related to Drupal 7. So, my CKEditor automatically applies a <p>&nbsp</p> when I hit enter and don't type anything. How can I disable this? I don't want to remove the padding or anything of a <p> tag. I need something that checks if the paragraph is empty and then don't display it. 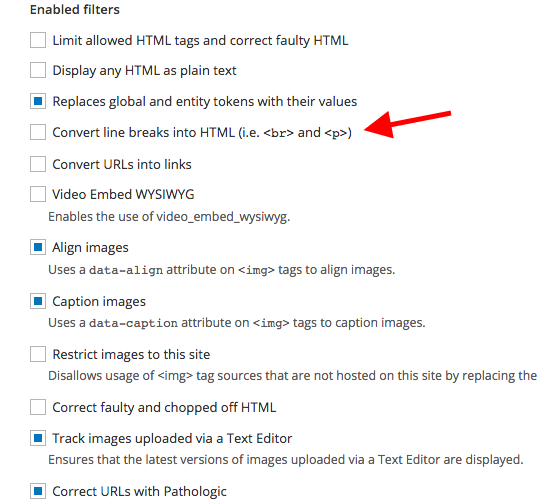 have you tried toggling off the "Convert line breaks into HTML (i.e. <br> and <p>)" setting on the text input format? A solution for Drupal 7: WYSIWYG module, br instead of p tags in Drupal 7. Although I am pretty sure you can use modify this for D8 as well. Not the answer you're looking for? Browse other questions tagged 8 wysiwyg or ask your own question. Are Wysiwyg and CKEditor modules incompatible now?